People fight over everyday obstacles to achieve their dreams. Meanwhile, there is a person who struggles to achieve the dreams and happiness of others on the other side of the world. 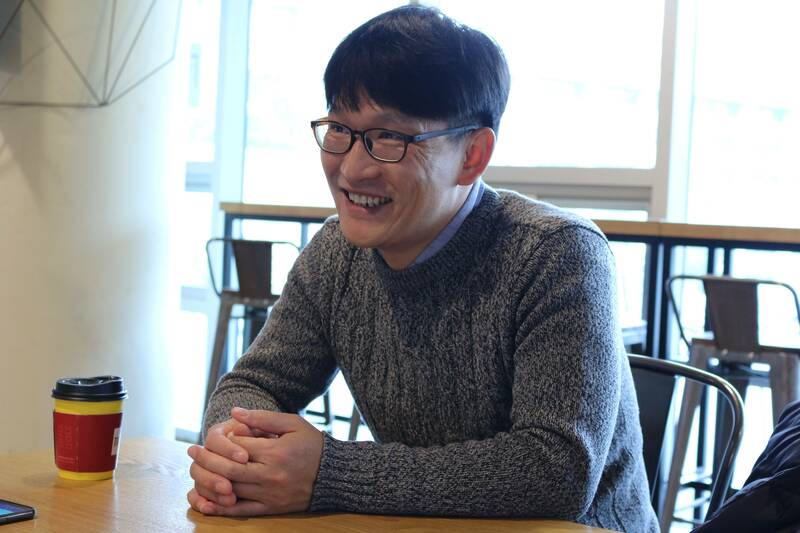 Kwon Ki-jeong, a proud alumnus of Hanyang University, is also the CEO of BINGO, who has been awarded the 8th ‘Lee Tae-seok Prize’ this January for his feat in the voluntary work sector. Q. Congratulations on winning the 8th ‘Lee Tae-seok Prize’. Please share your thoughts with us. A. First of all, I feel very grateful for being awarded such a prize. But most of all, I feel that there are more meaningful things to focus on being awarded this prize. After I received the prize, most of the questions were on how difficult it was to carry out volunteer work overseas, especially in the impoverished regions. Of course, my painstaking efforts could have been a huge part of my contribution as a volunteer worker. However, BINGO is not only about providing help. Just as its title ‘International Development Cooperation’ states, I wish the media could emphasize the importance of mutual development between us and the third world countries. Q. How did you first start out as an emergency relief worker? Q. Which particular event do you remember during your relief activities? A. There was a skin disease in the Afghan region where I was working in. I remember one child (aged 7 - 9 years), was inflicted with the disease and came to our team to ask for help but we could not since it was out of our boundary of help. The boy’s reply was short but impactful: ‘Why can’t your team help? Isn’t your team here to help?’. These two sentences became an emotional burden that lasted forever. Q. What advice can you give to our society, as a past emergency relief worker and currently as a representative of BINGO’s ? there is a need to be interested in the broad concepts commonly used in our society. If we recognize the rights that we have, it will naturally lead us to have the ability to care for the rights of others’ as well. Until now, the discussion on international development focused on helping the impoverished because the developed are better off than the poor. Rather, when we discuss more our own rights and talk about justice, we will then truly be able to see the importance of rights and justice of the third world as well. For instance, we should put regular and temporary workers at the same level of discussion, because that way, we can also treat immigrant workers with respect. Q. Any last words to HYU students? A. One advice would be to try working in a very unwanted and low-pay job for a long time. Time will turn you into a professional of that field and surely the earnings improve as well. These days people usually swim inside the red-ocean, competing inside an already saturated market. Although it is not easy to try something brand-new, I am pretty sure students are smart and creative to take up the challenge.